Last month when I headed out to Los Angeles, I was having a MARVEL-ous time with all things Ant-Man and The Wasp. That’s fancy for awesome. Fancy Nancy fans will immediately notice what I did there, copying Fancy Nancy’s signature wording when she uses certain vocabulary words. You see, the little girl in me (and the girl-mom in me), got excited when our ant-sized trip was about to end, for we were having a small tea party along with short Q&A with Disney Junior’s Fancy Nancy Executive Producer/Director Jamie Mitchell (Disney Junior’s “Sofia the First”), and Story Editor Krista Tucker (Disney Junior’s “Sheriff Callie’s Wild West”). Why? 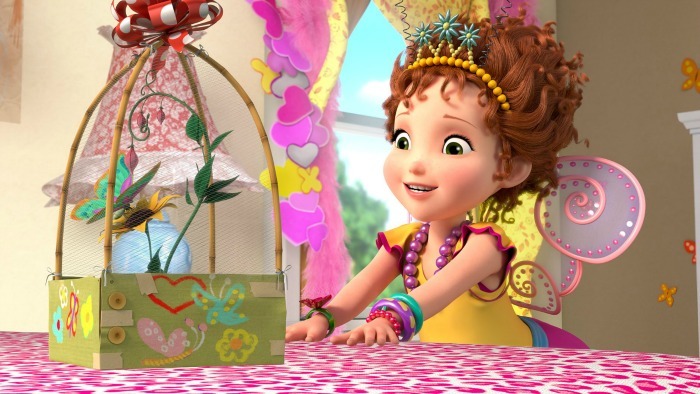 Disney Junior’s Fancy Nancy is premiering soon – an all-new animated television series! If You are Already a Fan, You Will Stay a Fan! I’ve been a rather big fan of the Fancy Nancy books, written by Jane O’Connor, ever since my daughter was a little girl. We have quite the library, and in fact, during my early days as a blogger, I found myself reviewing several of the books, including a favorite, Fancy Nancy and the Mermaid Ballet. Here is a sweet old photograph I found of my little girl with one of her favorite Fancy Nancy books and matching plush doll with yarn hair. We still have that doll (and all the books)! Oh, the fun of those dress-up days. 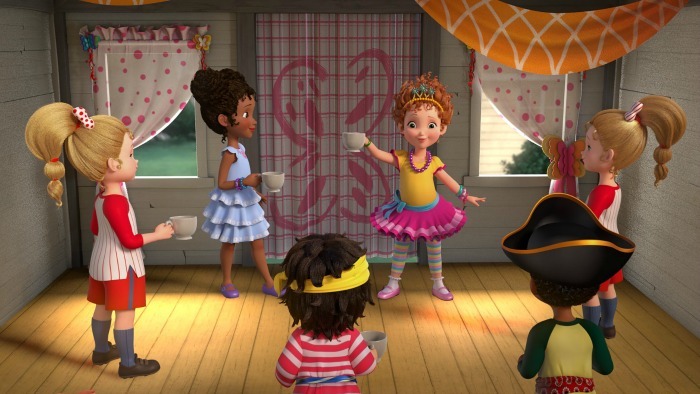 Disney Junior’s Fancy Nancy stays true to form, much to my delight. 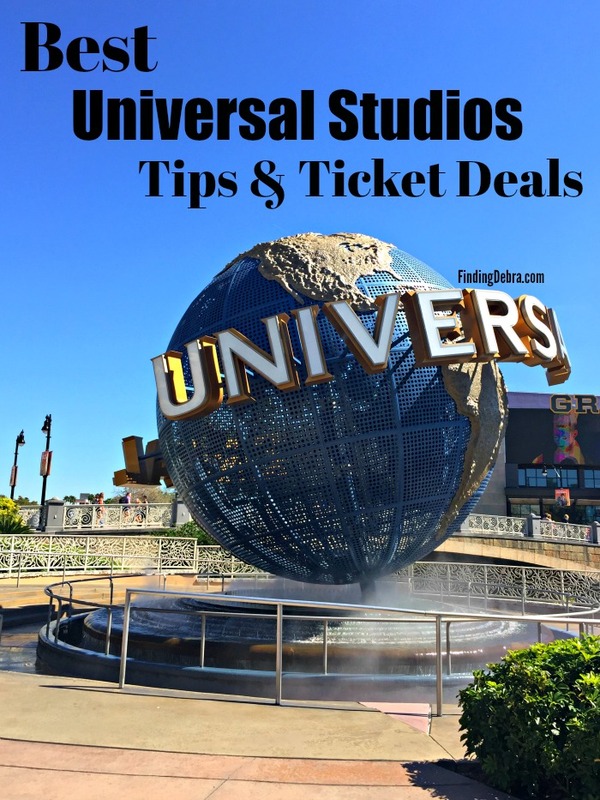 You will immediately recognize the characters, learn the vocabulary words as always, and appreciate the lessons taught. Disney has done right by one of our favorites. 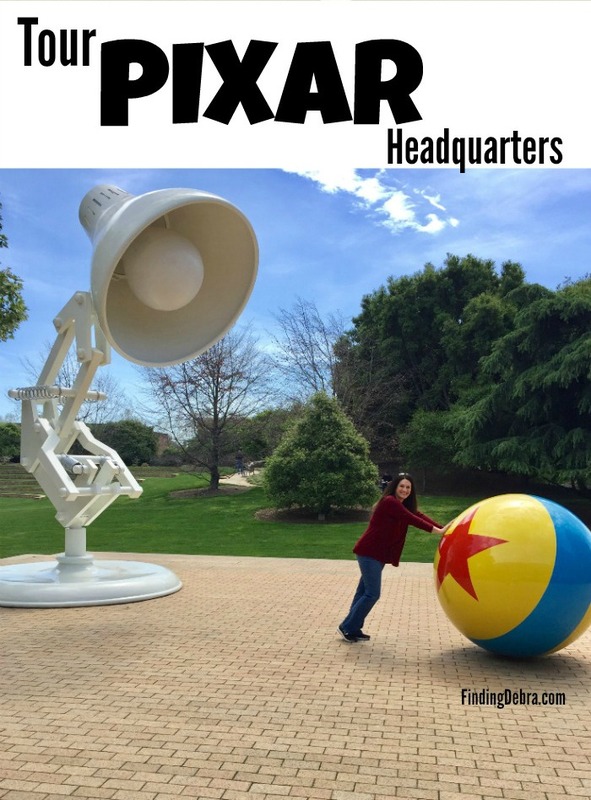 It wasn’t all that long ago (November 2017 in fact), when I visited Los Angeles, courtesy of Disney, for all things related to Big Hero 6 The Series. As I was touring a certain Disney building, I fell in love with a series of walls that had animated characters from floor to ceiling. I gasped when I saw her. Fancy Nancy was there right next to Rapunzel from Tangled: The Series. 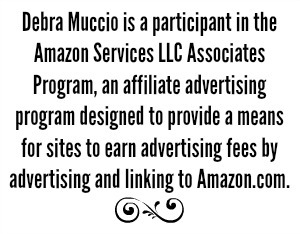 But I was sworn to secrecy and couldn’t share the photo until now! 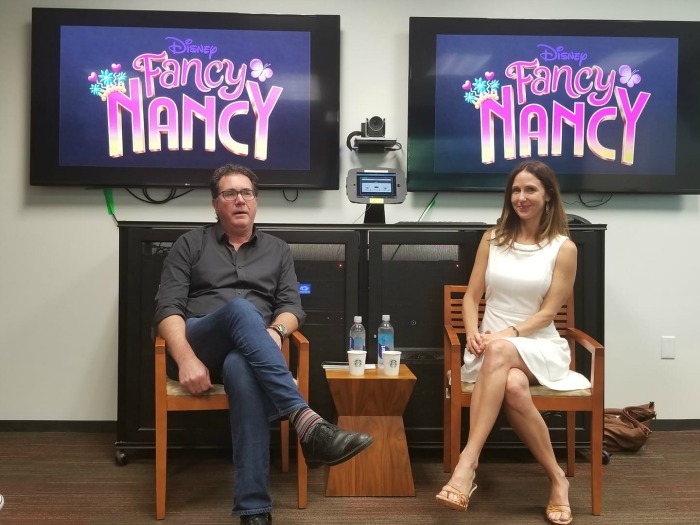 During our Q&A with Jamie Mitchell and Krista Tucker, we learned that Disney has been interested in Fancy Nancy for 10 years! 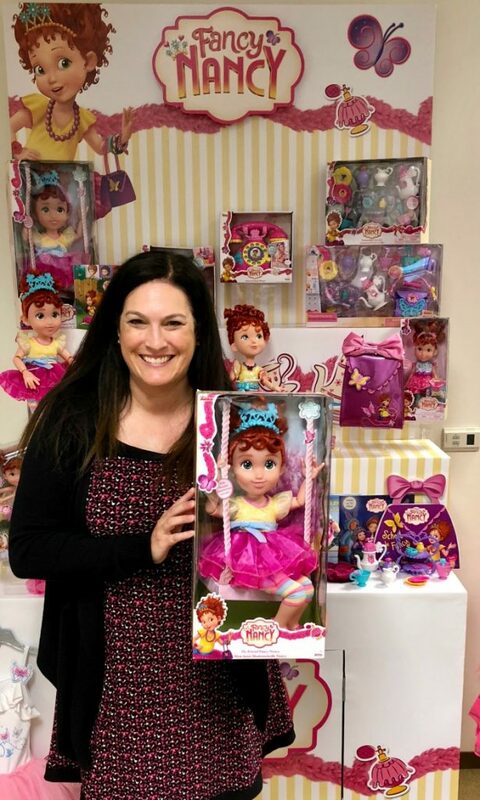 We learned that Disney actually owns Fancy Nancy now. So can you expect to see toys for the holidays? Oh yes. We were able to get a sneak peek of some of the incredible toys you will be able to get your hands on and they are fabulous. That’s fancy for cool! 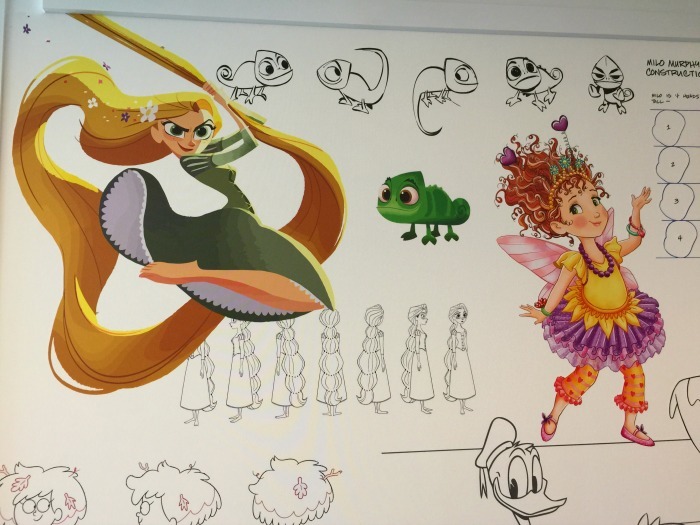 I think with Disney owning Fancy Nancy, that we just might be finding her at theme parks in the near future. Don’t quote me on that, just a prediction! 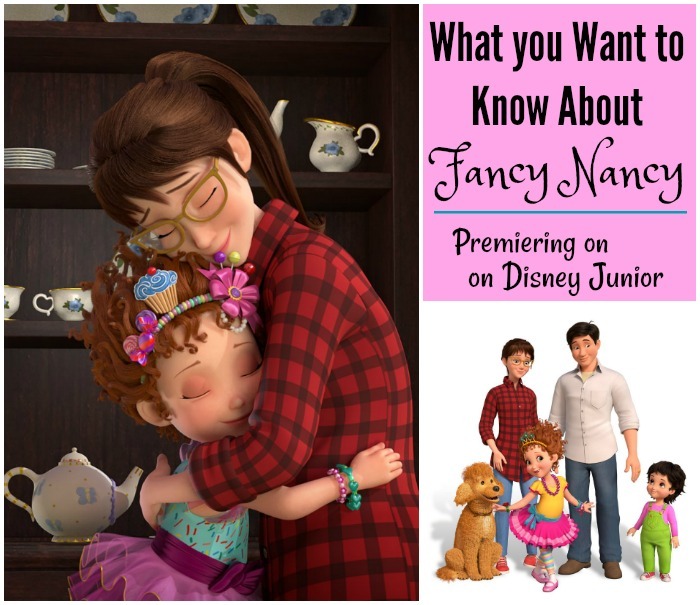 You will find that most of Disney Junior’s Fancy Nancy episodes will be new and original stories. That is exciting for long-time fans. But don’t worry, they have adapted 2 of the books so far. I can’t wait to discover which ones. Joining the previously announced lead voice cast – Alyson Hannigan and Rob Riggle as Nancy’s parents, Claire and Doug; Mia Sinclair Jenness as Nancy and Spencer Moss as sister JoJo – the recurring guest voice cast for season one includes Tony Award®-winner Christine Baranski as Mrs. Devine; George Wendt (“Cheers”) as Grandpa Clancy; Kal Penn (“Designated Survivor”) as Mr. Singh; Dana Heath (“WellieWishers”) as Nancy’s best friend Bree; Tatyana Ali (“The Fresh Prince of Bel-Air”) as Bree’s mom, Mrs. James; Ian Chen (“Fresh Off the Boat”) as Nancy’s cousin Jonathan; Chi McBride (“Hawaii Five-0”) as mailman Gus; Malachi Barton (“Stuck in the Middle”) as Nancy’s friend Lionel and Madison Pettis (“The Fosters”) as Brigitte. Mia, who plays Nancy, had the energy, comedic timing, and singing skills necessary for the character, in addition to an innocence that Fancy Nancy demanded. Oh, and the music for the show – she has already recorded 25 songs for them! Magnifique! Would you expect any less? 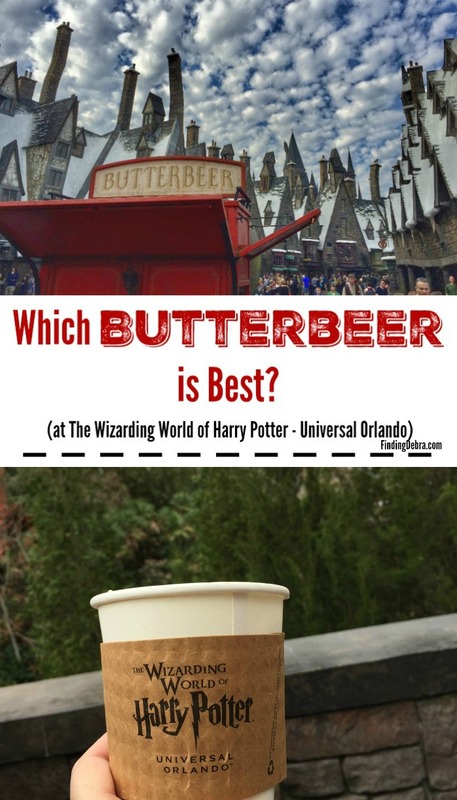 Both are original stories which introduce us to new characters and have us cheering on old ones. One thing that is impressive is the actual animation used in Fancy Nancy. It’s fun to note that Nancy’s hair consists of 236 separate and distinct areas on her hair! Her best friend Bree’s hair is just as sophisticated. 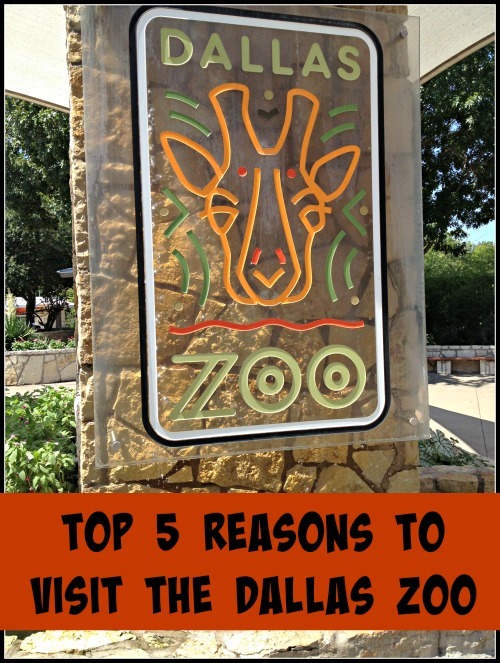 Before we wrapped up our quick interview, I had a question. I really wanted them to talk about the importance of Fancy Nancy in the educational sense. As a mom, that was something I valued in the original books. 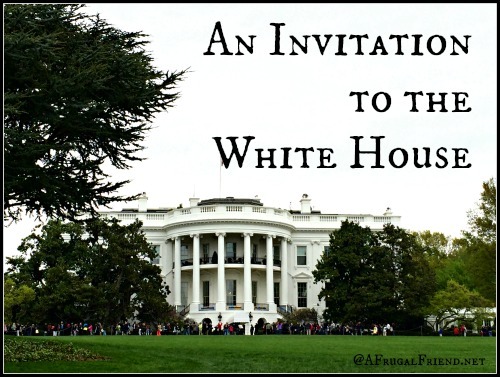 Would they honor and focus on that with the animated television series? I’m happy to report that yes, they do. It’s a priority for them too. Vocabulary was always a main focus in the books, and the television show episodes that I watched mimicked that as well. Not only that, but I was told that they do have a french consultant for the show (yes, Nancy loves to speak French). 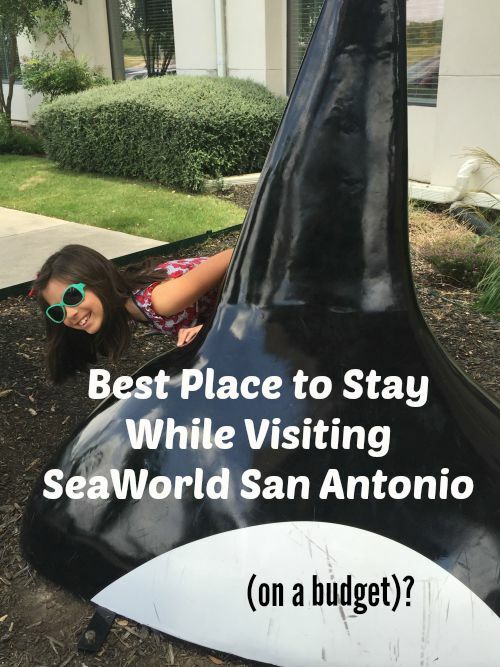 That might interest children in travel, in foreign language, etc. The lessons will still be there too. For example, Season 1 will have kids exploring Grace the “villain”, which will bring about some great lessons. 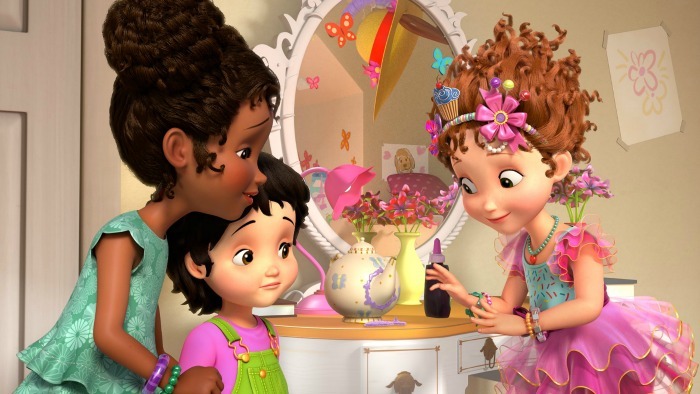 Yes, Disney Junior has ordered a second season of “Fancy Nancy” ahead of its series debut, which premieres FRIDAY, JULY 13 (11:00 A.M. EDT/PDT), on Disney Junior, DisneyNOW and Disney Junior VOD. 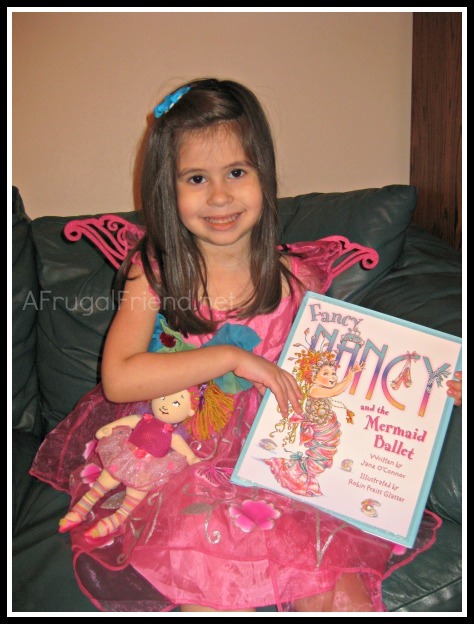 Are your kids excited about Fancy Nancy? Hannah John-Kamen Ghost Villain or No? With no girls in my house, I have no good reason to read or watch Fancy Nancy – but I LOVE her! And I do hope we will see her in parks very soon!